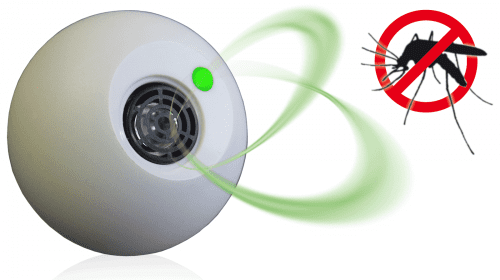 FamilyFriend is an advanced electronic instrument that protects you without being noticed and leaving the air that you breath free from any odor. 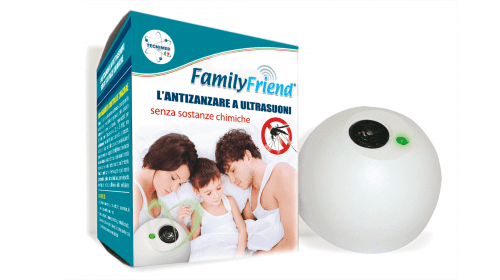 FamilyFriend sets you free from mosquitoes with imperceptible ultrasounds. FamilyFriend diffuses ultrasounds at a wide range that cannot be audible for humans. With a very fast wave sequence FamilyFriend diffuses ultrasound waves of different frequencies to cover the whole sensitivity arc of mosquitoes. The ultrasounds stun the mosquitoes that move away from the place where FamilyFriend is working, or they have troubles in flying and they cannot sting anymore. FamilyFriend does not diffuse any substance in the air. With FamilyFriend you will not need to ventilate the room before entering it. You can keep it on as long as you like, even when you are in the room. For this reason, FamilyFriend is the most environment-friendly solution to get protected from mosquitoes. It is a true friend for everybody and above all for children. FamilyFriend is effective if it is switched on before mosquitoes come; on the contrary you will notice their effectiveness half an hour after the switching on at least, i.e. when mosquitoes have already had their ‘meal’ ……. at your own cost. Turn the device on before the night, to act preliminarily and to avoid the mosquitoes entering the room. Thanks to its very low energy consumption (in 150 hours, FamilyFriend consumes as much as a 60W light-bulb does in ten minutes), it can always be plugged in. You can use FamilyFriend also when the window is open, as long as the plug is not too close to the window and that the device is oriented towards the inside of the room (fig. 3 e 4). The defensive action starts right away and is effective just after a few minutes; this is why it is advisable to turn FamilyFriend on beforehand. Obviously, if you want to get rid from mosquitoes in more than one room – living room, kitchen and bedroom -, only one FamilyFriend is not enough.